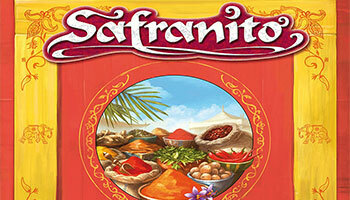 "Safranito" is an extraordinary action-filled game that challenges skillful tactics as well as tactical dexterity. 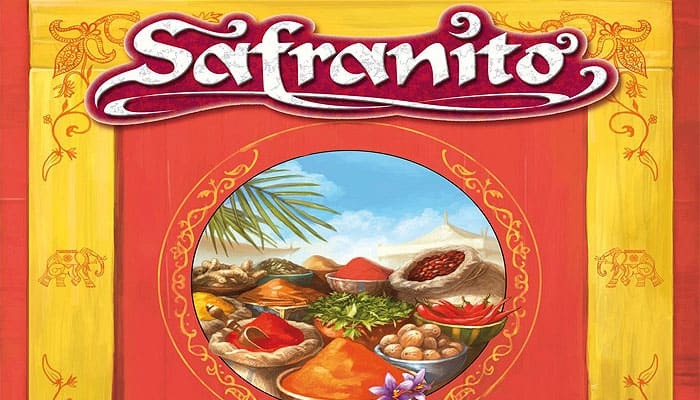 Like no other game before, "Safranito" is a combination of dexterity and tactics providing the game with a new, superb playing experience. At an Indian spice booth, the players bargain for the precious ingredients they need for their exquisite meals. Thereby, everyone throws their Indian coins face-down onto the bowls depicted on the game board. The players may bluff and push the opponents' coins aside. A clever coin thrower is able to arrange the coins on the game board in a way that allows him to do both: sell his spices at a high price and purchase cheap spices as well. Eventually, the first player wins who has been able to acquire the spices needed to serve the maharajah his desired meal. Rajive's market booth is the great attraction in town. Top chefs from all over the country jostle for his spices, creating new spice blends and thus setting the latest gourmet trend.